Have a good story: This is the crux of PR; if you don’t have a story, then you won’t get the journalists’ attention. Worse than that: you may even damage your credibility with them so that they send future emails from you straight into their junk folder. It’s really important, therefore, only to contact them with something that is of genuine interest to their target audience. You want something that shows your business in a good light and will strengthen the image of your brand. 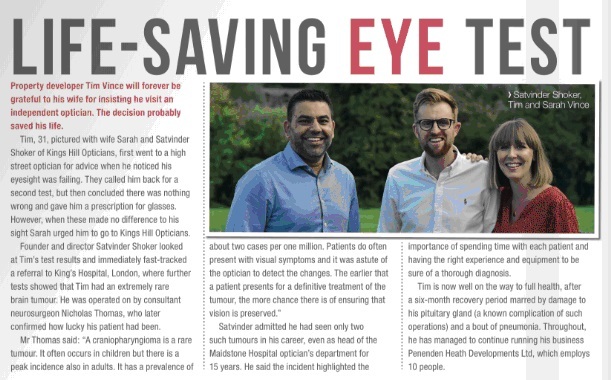 Our client, Kings Hill Opticians had a cracking story when their chief optician saved a 31-year-old patient’s life by fast-tracking him to the hospital when he suspected he had a brain tumour. Not only is it a great story in itself, but it conveys that the practice knows what they are doing and will go the extra mile for their patients. The story was picked up not just by the local press, whom we wanted to reach to tell people living within the right geographic area just how great Kings Hill Opticians are, but also in the trade press, raising the company’s profile among their peers. Have great pictures: When you read an article, your eyes will often head straight to the images – and the newspapers know it! That’s why you should always send images attached to your PR campaign press release to maximise the chance of a paper or online news outlet running your story. In this example, our client had a nice little charity story – but they are ten to the dozen. 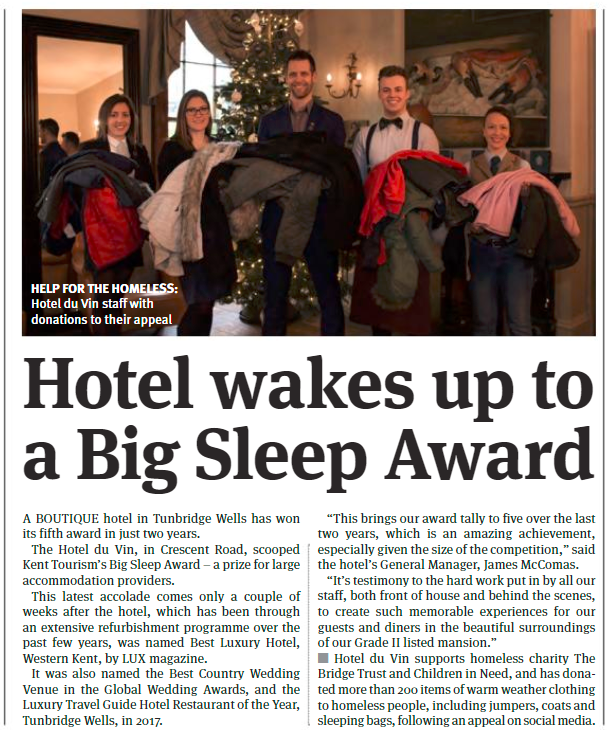 The reason we managed to get coverage for them was by getting the hotel staff to pose with the clothes they had collected for homeless people. A great picture really will sell your story for you! It also needs to be decent quality; yes, smart phones have good cameras in them these days, but it’s much better to budget for professional photography. A professional photographer will know how to group the subjects, how to light them, how to position any signage etc, etc to create the most compelling image that represents your brand in the right way. 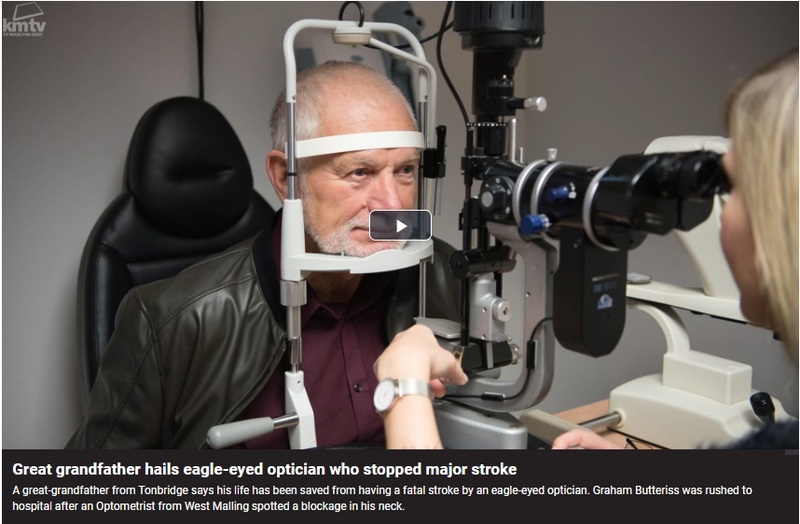 When the journalist says ‘Jump’ – say ‘How high?’: West Malling Opticians also had a great story when one of their opticians saved a patient from a major stroke. We managed to get BBC television coverage from our public relations campaign, by bending over backwards to make both the optician and patient available for interview at a time to suit the journalist and camera crew. This meant rearranging the optician’s clinic slightly, but the result was a 2-minute report on prime-time TV to our target audience, which in turn was then followed up by other local news video outlets. Get the timing right: Magazines often have long lead times; the national glossies work four to six months in advance, and even local lifestyle titles will usually need at least two months’ prior notice before being able to publish your story, and even longer if they publish bi-monthly. Newspapers will work to faster deadlines, but will still expect around a week or two before you get any coverage (unless your story is breaking news, in which case it’s often something that you don’t want coverage for and you are into damage limitation!). It’s important to bear this in mind when sending out press releases for your public relations campaign. Doing your homework and finding out the deadlines that newspapers or magazines work to can help you prepare so that you know the optimal time to send out your story; you may even consider sending it in different waves, with the magazines receiving it considerably before the newspapers. This is particularly important when you are tying your public relations campaign to an event or holiday. Here’s an example from our client Rusthall Lodge Care Home, who staged a photographic exhibition of residents at the key local theatre. The first thing to consider with the timing was which show the exhibition should dovetail with; we opted for the Bootleg Beatles, as many of the audience members would have parents of a similar age to the residents in the home. We then had to plan their public relations campaign to ensure that we got them coverage at the right time. We sent out both a preview piece and a post-event campaign, with photos of some of the carers with the Fab Four. Be persistent: Journalists are busy people; they often have masses of emails flooding their inbox every day, and most of the time they won’t pick up your story the first time you send it to them. One excellent way to get around this is to make follow-up calls to the news providers you hope to get coverage from; you are far more likely to have your story picked up by making a personal call to individuals rather than just sending an email. 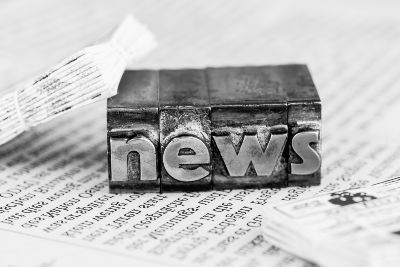 Whenever we run our public relations campaigns, we ensure that we make personal calls to all the journalists or newspapers that we send our press releases to. 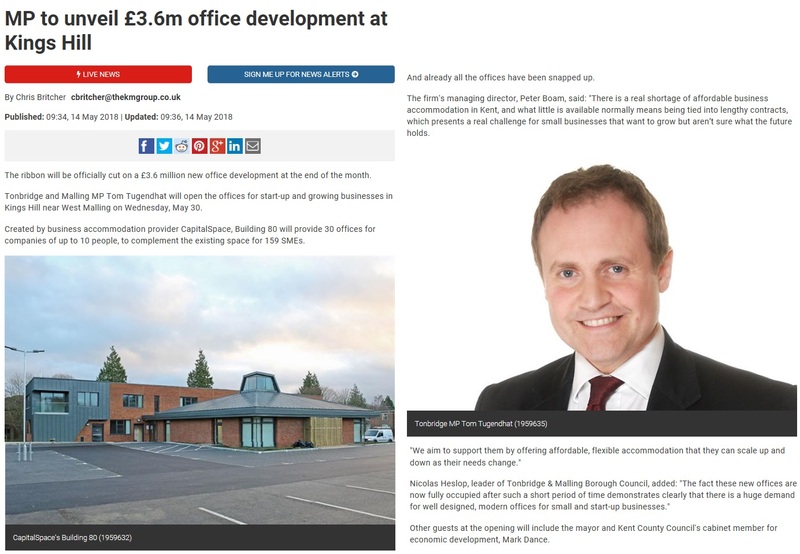 In almost all cases, they haven’t seen the original press release and the story only gets picked up because of our follow-up call, including the coverage that we secured for Capital Space about the opening of their new £3.6 million flagship building at their Churchill Square Business Centre in Kings Hill, Kent. When you’re planning a public relations campaign for your business, there are simple rules you can follow to ensure your campaign is as effective as possible. Our examples can give you some inspiration and initiative to make sure you have a campaign that delivers real rewards. Based in Tunbridge Wells, Kent, Sharp Minds offers brand development, digital marketing, offline marketing and public relations to businesses across Kent, Sussex, Surrey and Greater London. You can see what our customers say about us here. Want to drive your business forward?